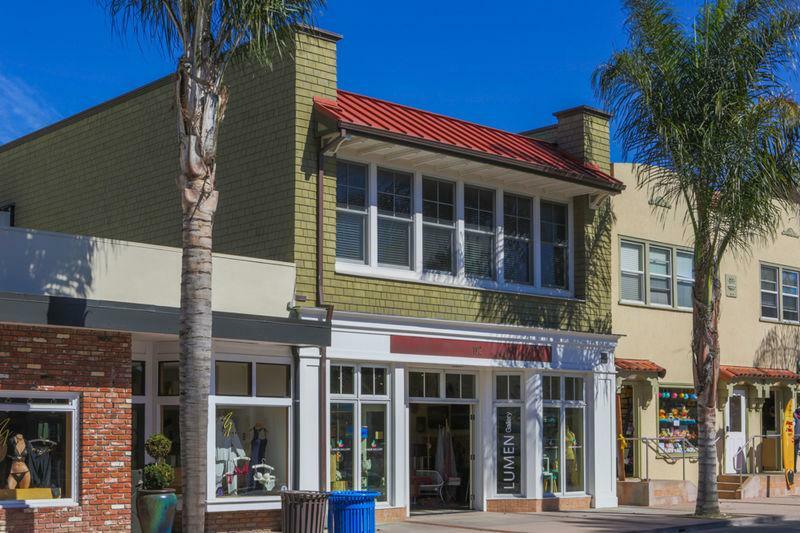 Located in the heart of Capitola Village. 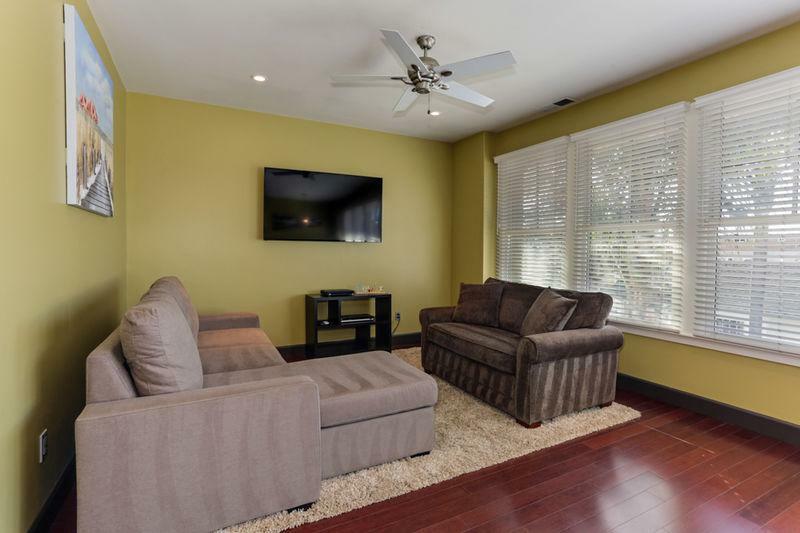 Newly remodeled with modern amenities and furnishings throughout. Wireless Internet. Steps to the shops and restaurants in Capitola and just one short block to Capitola Beach. Dogs considered. 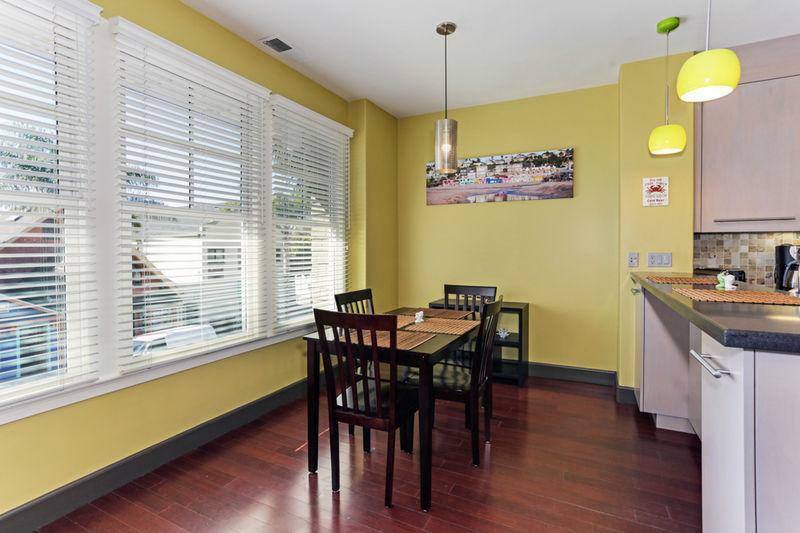 *Book with Confidence Best Rate Guaranteed* Capitola Village vacation rental apartment, located in the heart of town. Beautifully remodeled with brand new furnishings and modern amenities, guests are guaranteed to love this contemporary, loft-style vacation rental. 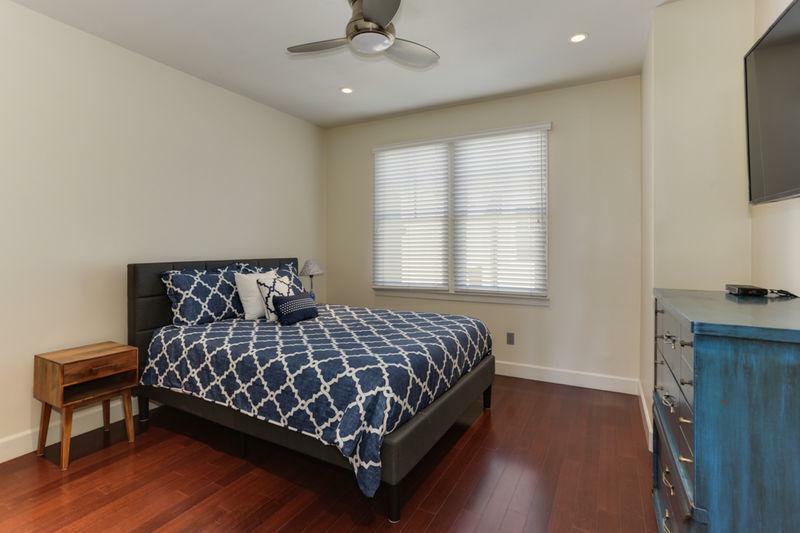 With Bamboo hardwood floors throughout the home, remodeled kitchen and bathrooms, ceiling fans throughout, what's not to love! Guests will love the gourmet kitchen and open floorplan of the kitchen, dining room and living room. 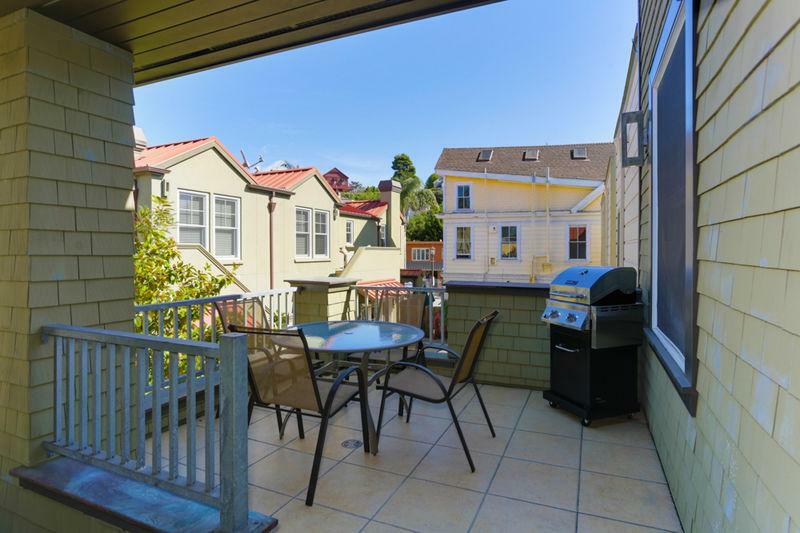 Enjoy views of Capitola Village from your living room or spend a relaxing afternoon enjoying the sunshine on your front patio overlooking the lovely, private courtyard. 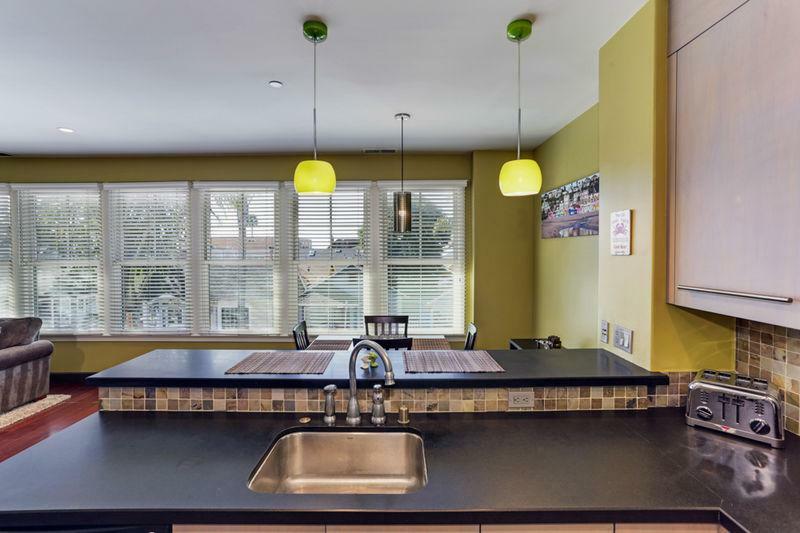 This beach house is located above one of the adorable boutiques in Capitola Village. 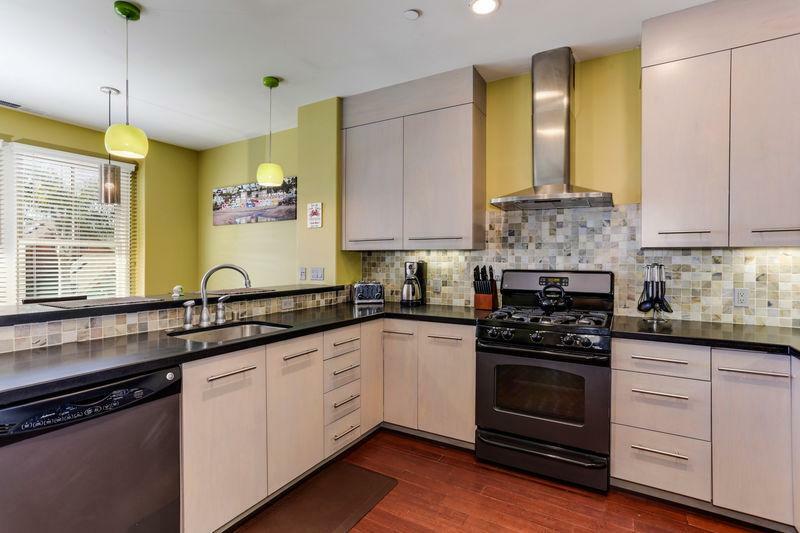 Convenient Amenities Include: Wireless Internet, flat screen TVs in the living room and master bedroom, permit parking for one, washer/dryer, ceiling fans in every room, just one short block to Capitola Beach. 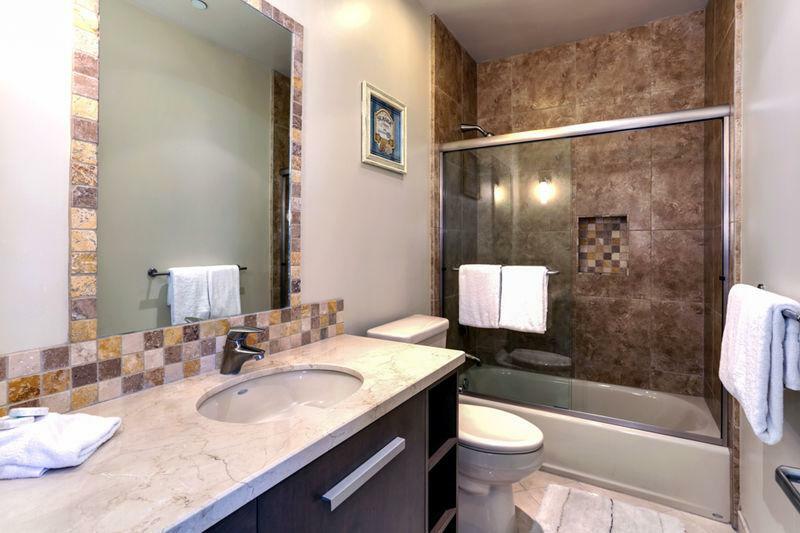 Full sized bathroom with tub next to the kitchen and living room. The kitchen looks out into the dining room ahead and the living room to the left. The 6 large windows look out on to Capitola Village. 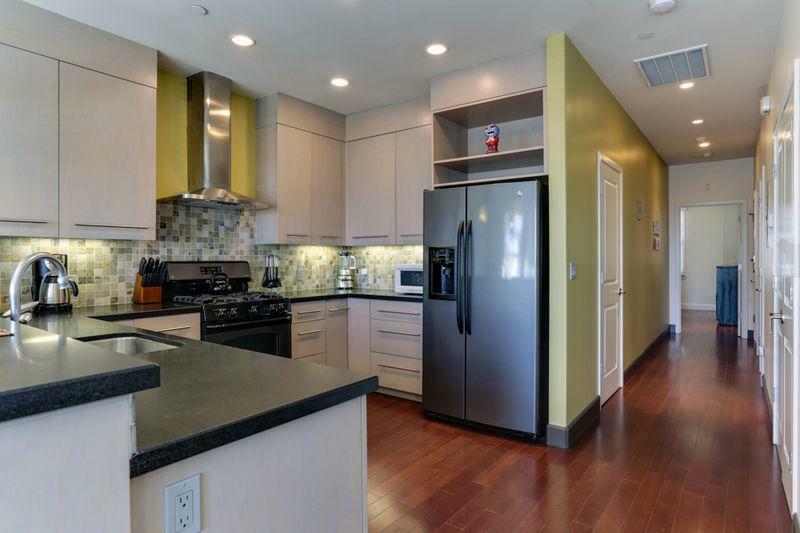 As you walk down the hall from the bedrooms, step into the beautiful and newly remodeled kitchen with new appliances. To the left of the front door is the second bedroom with queen sized bed. 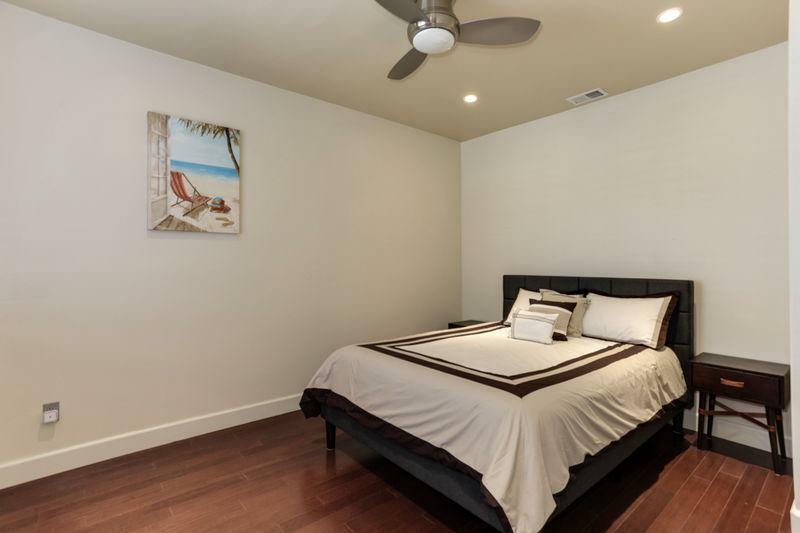 Once inside the home, to the right is the master bedroom with queen sized bed. 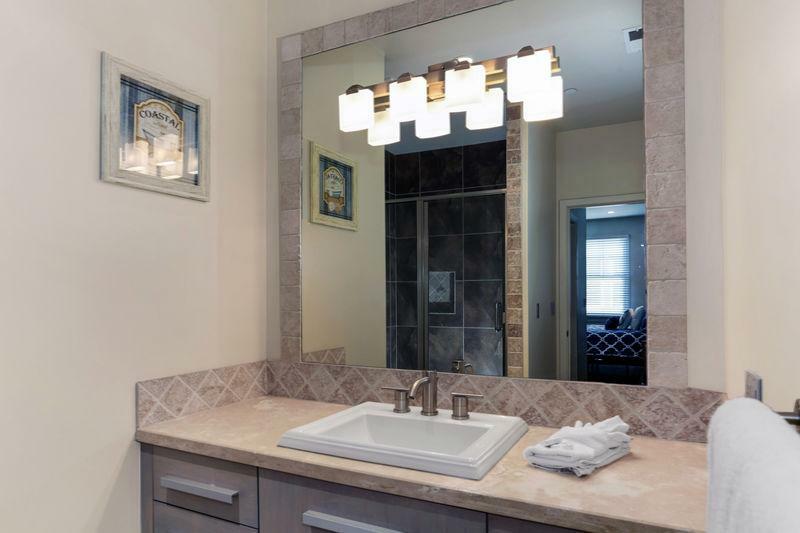 Large flat screen tv is mounted on the wall and master bathroom (with step in shower) is attached.